Over the past 25 years a number of Government Departments, International Bodies, and both formal and informal scientific societies and groups have published recommendations for both general and specific populations with respect to intake of long chain polyunsaturated fatty acids. 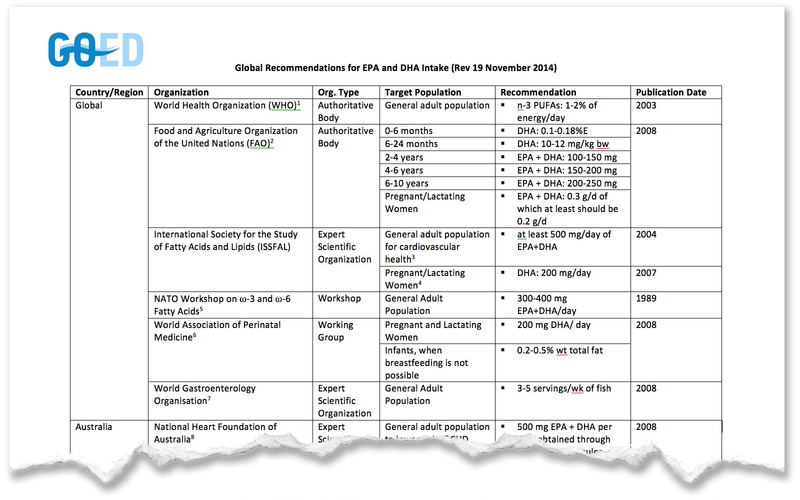 These have been comprehensively categorized by GOED (the Global Organisation for EPA and DHA) and we are grateful to them for providing the following link to their summary of all international recommendations. Click the image to view the document.